A piece of advice my dear professor, Gail Kendall, gave me when I was leaving Lincoln last spring after completing my MFA, was to not beat myself up about not getting much work made the first year or two after grad school. 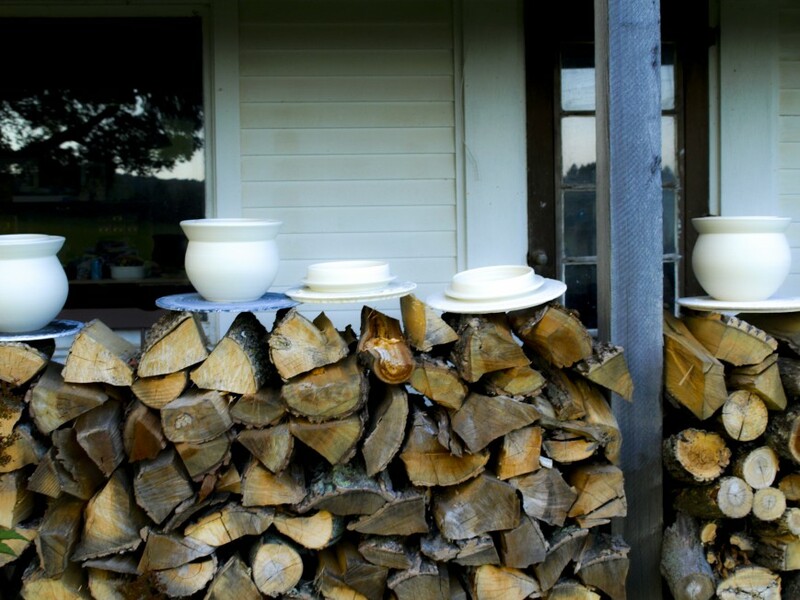 “But I have a studio already set up at home, and a kiln in the barn just waiting for me.” I thought to myself. It’s not as if I was forgetting that I had two children to take care of, or even that my husband and I are undertaking the construction of our own house. Admittedly, I might have overlooked how much time I would be spending in the garden this fall, or how immersed in doll and doll-clothes-making I became just before Christmas time… but still. The point it, it’s been hard to carve out time to spend in the studio especially when this farm itself feels often like one enormous studio – ongoing projects littered about everywhere. I took a break from making crocks of the Beekman Boys in November, and now I’m feeling like I need to get back in the studio. I really miss clay. In the meantime, let’s all stay warm.